The definitive guide to troubleshooting and controlling orange peel in automotive and industrial paint applications. Is orange peel impacting your bottom line? Are you struggling to find the cause? 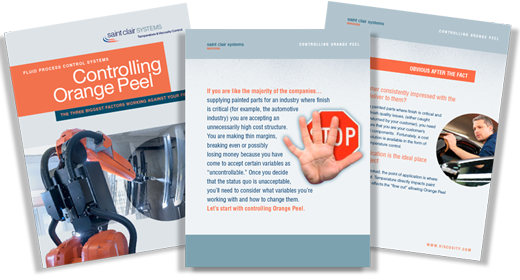 Learn how to avoid orange peel and similar paint finish issues with our Controlling Orange Peel eGuide. Download the eGuide now and you'll know how to troubleshoot and control orange peel and similar paint finish defects in your production environment. Free eGuide - Fill in the form below.